An introduction to the painting techniques of our Cro-Magnon ancestors (From age 5). Participants create animal frescoes similar to those of Lascaux in a reconstructed cave. 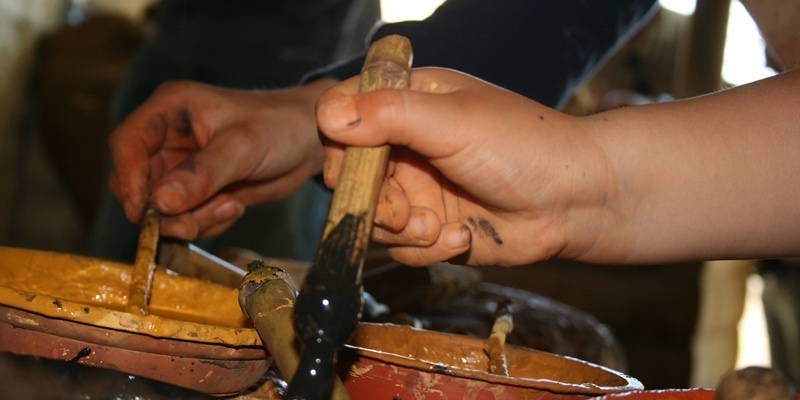 The instructor presents the materials to be used: brushes made of plant matter, pieces of animal fur, mineral colours and the gestures of the Magdalenian artists. Workshops are scheduled every day during the school holidays. And every day the animation "Feeding Deer" and the animation "Feeding Wolves"! 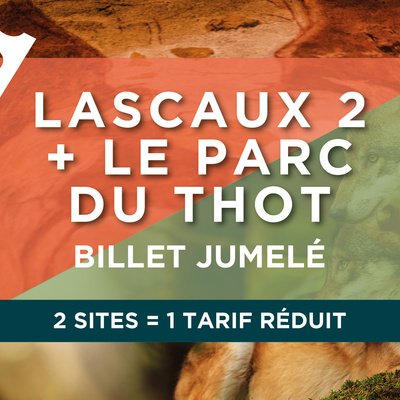 Thot Park proposes an approach of cave art in introduction or in complement of the visit of Lascaux. You will discover the five major facsimiles of the paintings of the Lascaux's Nave ("The black cow", the "Deer frieze", the "back to back Bison", the "Imprint Pannel", the panel " ibex "). Share your photos with #parcduthot!